My family LOVES stuffed peppers and the best thing is you can make them out of basically whatever you have on hand! BUT THESE, these are the go to Peppers in our house 😍 You will not be disappointed! Cut off the tops of peppers; discard seeds and membranes, chop peppers in half length wise. *in a separate pot put water bring to boil add rice cook until rice is soft – unless using precooked rice like I do. In a skillet cook ground beef, onion till meat is browned and onions are tender. Add tomatoes, paste, salt, garlic powder, Worcestershire, and rice. if needed add more water. add rice to beef mixture. Stir in cheese. Stuff peppers with meat/rice mixture. 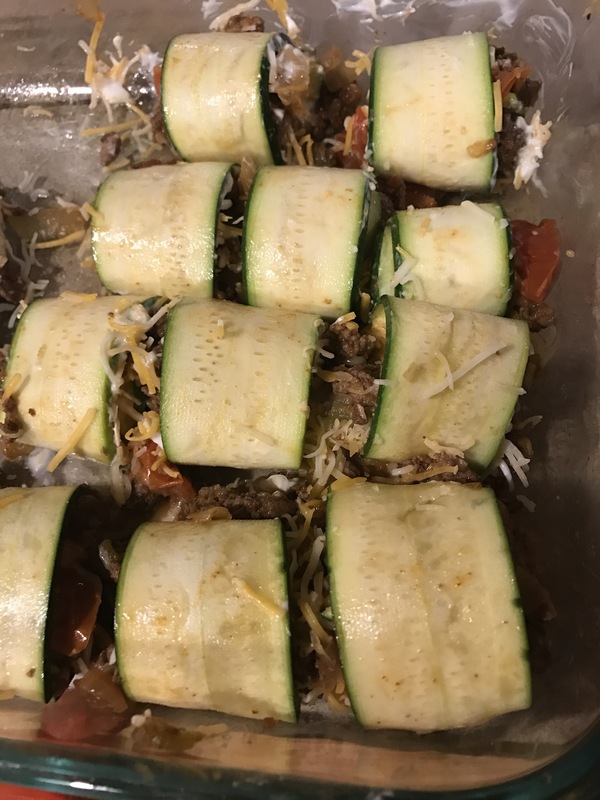 Place in a baking dish or on a cookie sheet lined with foil. Bake, covered in a 350 degree oven for 30 minutes. in the last 5 minutes add any remaining cheese to the top of the peppers. And ENJOY! Because these are amazing!!! These were a hit by all and so fast and simple and most importantly, you don&apos;t need your oven on a hot summer day! 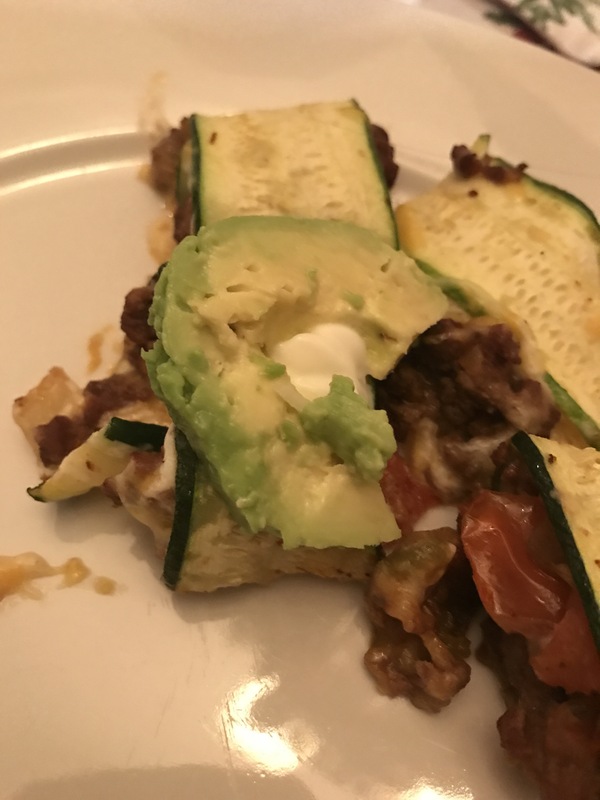 Oh you guys 😍😍😍 Dinner tonight, softball night 🙃 Needed to be Fast and made up of ONLY the complete randomness that is available in my empty pantry and fridge 😳 End of Month for me and HUGE shift in Ty’s work schedule, paired with softball games = no time for groceries or cooking 🤷🏼‍♀️ so THIS beauty was born 😍…. – cook over medium high heat, flipping and stirring regularly, until browned and crispy 🙌🏼🙌🏼 Literally the best and fastest “grilled” sweet potatoes EVER! Sprinkle 1 tbsp flour over mixture and stir to combine. Meanwhile, wash potatoes and slice thin (I use a mandolin). Slice into 1/4-inch slices. Reduce heat to low and stir in the almond milk mixture and kale. Cook for 5 minutes, stirring occasionally. I don’t know about you guys but we have been snowed in with no school going on day 3! 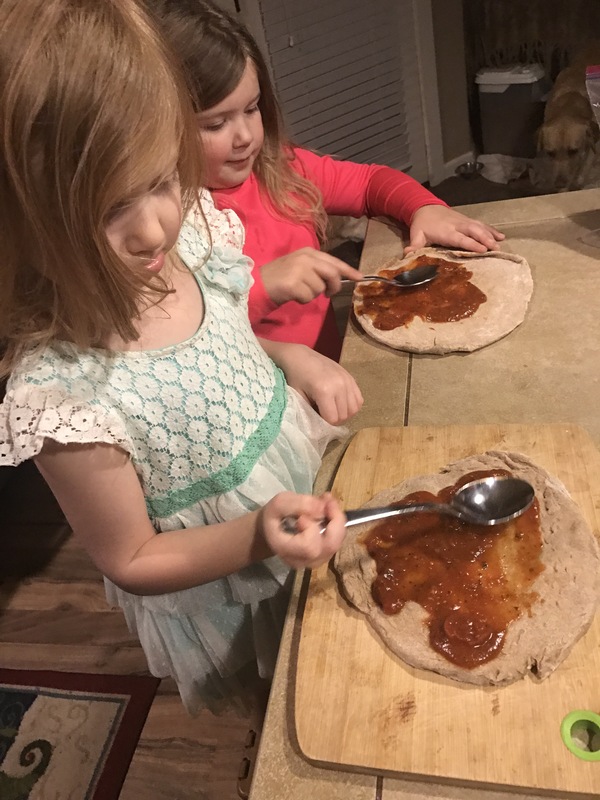 And that makes for some stir crazy kids and a stir crazy mom 😂 So tonight was Create Your Own Pizza night at our house and I decided to try something new and clean the crust WAY up…because after all it is the worst (for your waistline) part of pizza anyway! Mix flour, baking powder, and salt together in a bowl; stir in milk and olive oil until a soft dough forms. Turn dough onto a lightly floured surface and knead 10 times. Shape dough into a ball. Cover dough with an inverted bowl and let sit for 10 minutes. Roll dough into a 12-inch circle on a baking sheet. For dry dough, add a little more milk. Bake crust bake in an oven at 400 degrees F (200 degrees C) for 8 minutes. 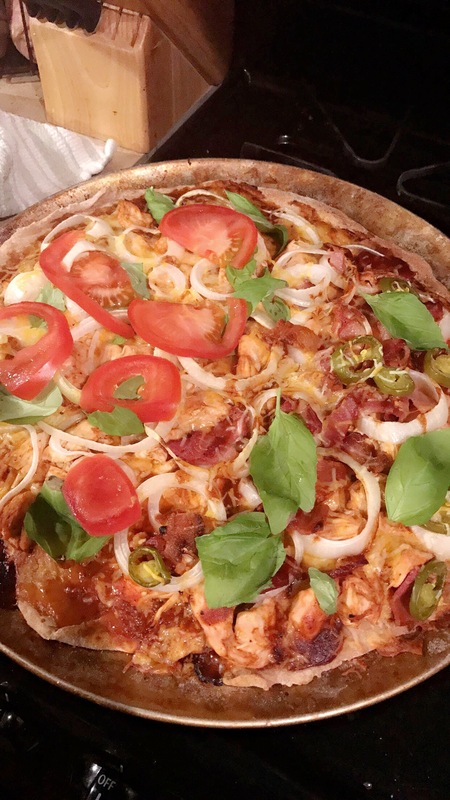 Top crust with your favorite toppings and bake until light golden brown, 15 to 20 minutes. And what to do and they will soon look like this! 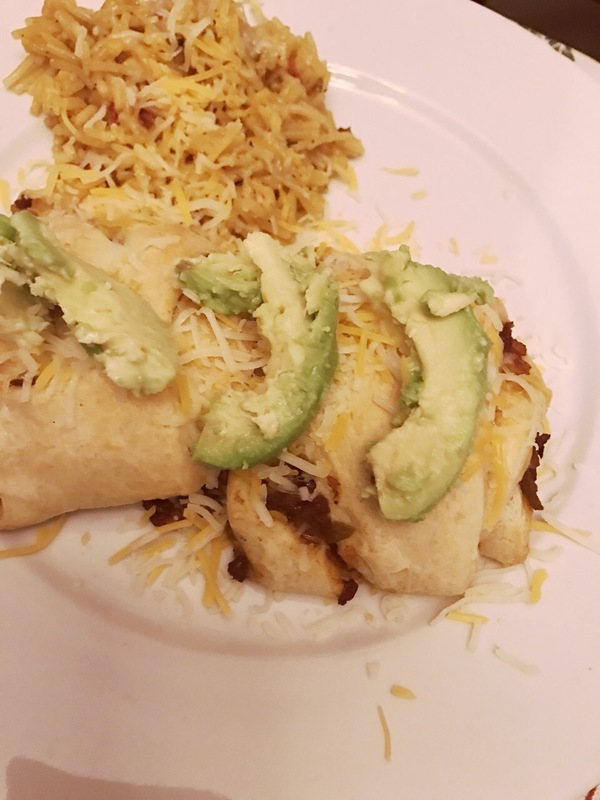 I served them with Greek yogurt/sour cream and sliced avocado! 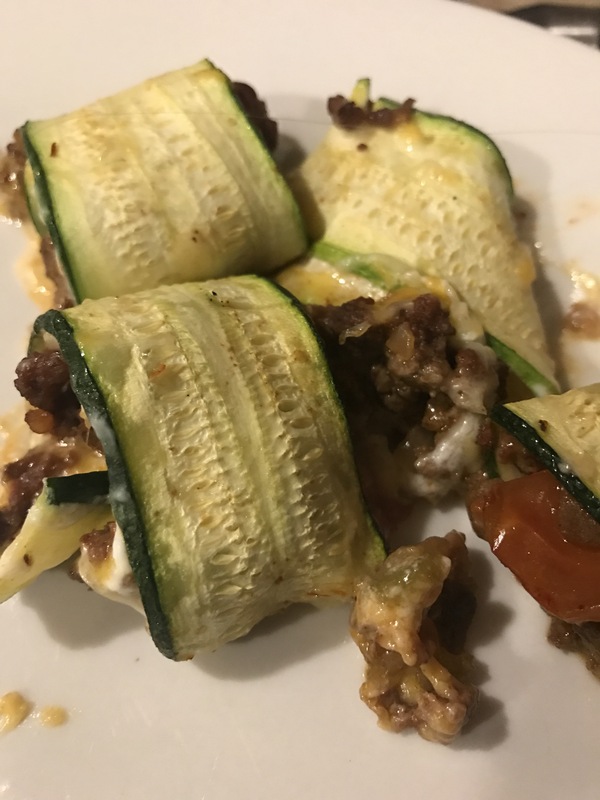 **For my family (because they are picky about zucchini) I made the exact same steps but used Pillsbury rolls instead 😉 They were also a huge hit! STIR FRY: Heat 1 tablespoon sesame oil in a large skillet over medium low heat. Add the carrots and garlic and stir fry until fragrant, about 5 minutes. Add the cauliflower, broccoli, and remaining sesame oil to the pan; stir fry quickly to cook the cauliflower to a soft (but not mushy) texture. OPTIONAL: For the sauce on top, I just whisked equal parts soy sauce, honey, sesame oil, and oyster sauce together and drizzled it over top with sesame seeds. I like a little pretty flair like that.